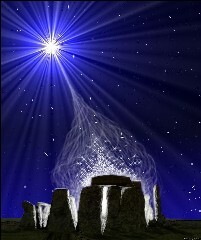 "As a vibrant wave of Light, the Seven Sisters may appear as a guiding link to higher wisdom. and release your knowledge - you will again remember who you are." The terms "star people", "starborn" and "starseed" were popularized in books by the popular author Brad Steiger. He has borrowed the term "star people" from native Americans who belive that the stars are the homes of spiritual beings who have a connection with people on Earth. He defines the term "starborn" as "the feeling and knowingness by some people that they have come to Earth from another planet or star system". Some "star people" represent the Ashtar Command or other ET groups and civilisations. Everyone is a visitor, living on Earth to perform a mission. As we are approaching the end of the Piscean age, the space commands are increasing their communications and interactions with their incarnated representatives. It has been said that there are at present about 144 000 Lightworkers from the Ashtar Command on Earth. That is the minimum of souls required for the ascension process. They are called "Eagles" within the command. These Eagles are a group of souls who don`t identify with a special planet. They know they are one with all, and that they are Christ (fundamental to any discussion of New Age Christology is the recognition that New Agers distinguish between Jesus, a mere human vessel, and the Christ consciousness (variously defined, but always divine, and often a cosmic, impersonal entity)). These Eagles are incarnated on Earth to guide humanity into the 5th dimension. Lightwork is a spiritual life-style, an integration of rational mind and intuition in a supportive way. It can be considered as a modern mystic-school based on the roots of ancient teachings without the dogmatic limitations. Many people on the spiritual path call themselves lightworkers. Part of Lightwork, includes the deep interest in consciousness, other dimensions (ascension), and views about starseeds, walk-ins, extraterrestrials and multi-dimensional-self. Ashtar Rose "A Mission of Light"